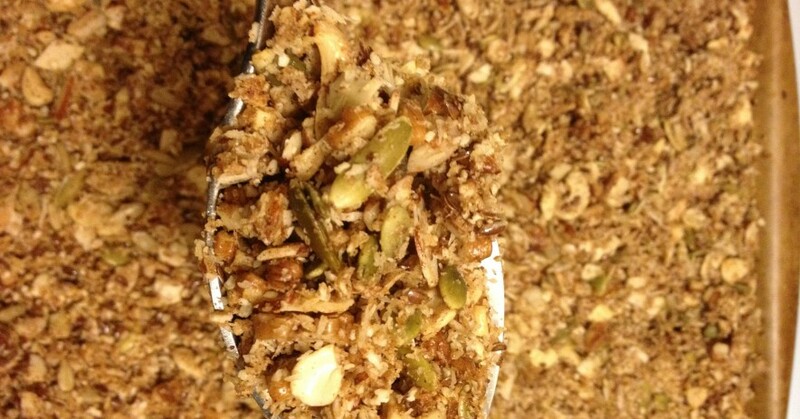 Super easy, super healthy, grain-free, gluten-free, and paleo-friendly granola recipe. Packed with protein, vitamins, and antioxidants – a great snack for the kids, too! 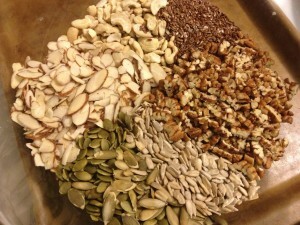 Combine all the dry ingredients and then stir in wet ingredients until well combined. 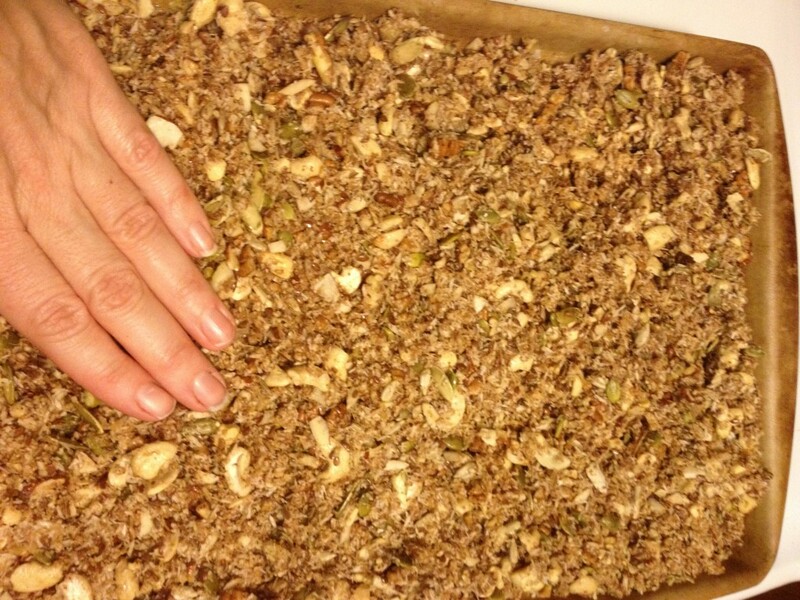 Line a cookie sheet with parchment paper and spread on your granola mix. Bake for 20 minutes: remove after 15 minutes to stir. Place back in oven 5 more minutes. Interested in learning more about clean eating and healthy living? Join us on January 29th from 6:30pm – 8 pm for DINNER WITH DOC! Bring as many guests as you’d like, and we’ll pick up the tab after providing you with the best health and healing strategies to make 2015 your healthiest year ever!